Helm of the Host + Gideon of the Trials? As the Infect player in my playgroup I can appreciate your attempt at a difficult and disliked build. 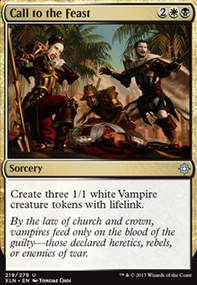 Suggestions are Helm of the Host , Rite of Replication , if your playgroup allows it Evil Presents This is hilarious with Blightsteel Colossus in hand Cathars' Crusade , Nylea, God of the Hunt . SynergyBuild Selvala, Explorer Returned is insane with Paradox Engine . And there's Smothering Tithe now lol. There's Helm of the Host lol. 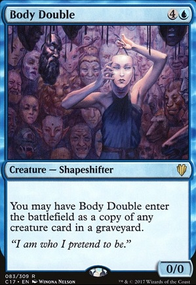 Have you considered Helm of the Host for a good source of ETBs, including your commander's? Strionic Resonator and Panharmonicon are nice ways to double triggers. 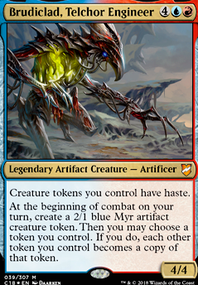 Progenitor Mimic and Helm of the Host are more ways to make token copies as well. 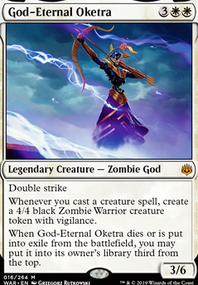 I have a Temur version myself, perhaps you can find something else you like in there too. +1 for ya. Maybe try Forgotten Cave , Desert of the Fervent , etc. Tormenting Voice is a little bit better than Wild Guess because of the easier mana cost. 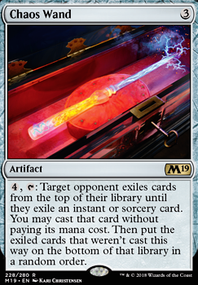 I also like Mind Stone 's older siblings Hedron Archive and Dreamstone Hedron because of the draw power in a color with not much. 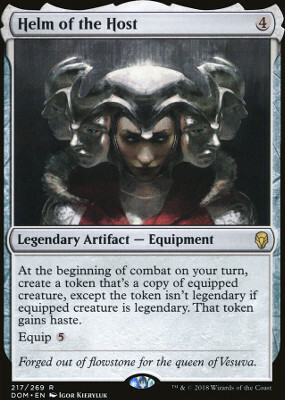 Helm of the Host might be interesting on the more casual side of things, but difficult to make anything other than a win-more card once you get more competitive. 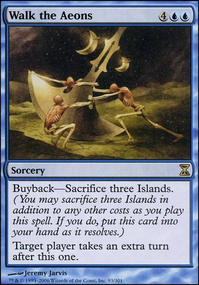 Remember that you don't get the cast trigger from Emrakul, the Promised End . 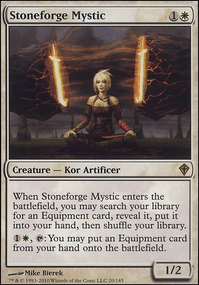 Overall, this is a pretty awesome deck and I like it a lot.